NGK Stories | Special 100th Anniversary Website | NGK INSULATORS, LTD. In 2015, NGK announced that it had entered into a plea agreement with the U.S. Department of Justice (DOJ) regarding antitrust law violation in connection with some of its deals involving ceramic substrates for automotive catalytic converters. NGK's compliance system has steadily been improved. However, if we consider compliance according to the original meaning of the word, “responding to requests,” our efforts have been middle-of-the-road. NGK AUTOMOTIVE CERAMICS USA, INC., NGK’s subsidiary in the U.S., received a subpoena from the DOJ on October 18, 2011. It was a submission order related to the price-fixing of ceramic substrates for automotive catalytic converters. NGK immediately declared its complete cooperation with the investigation and formed an internal investigation team comprised of members from its Legal Dept, Auditing Dept, Corporate Planning Office, and CSR Office, and the company proceeded with a proffer (oral sharing of information) to the DOJ. After we received the subpoena, we sought the advice of a law firm; and with that law firm as our partner, we conducted an internal investigation, initiated a proffer, and actively cooperated with the DOJ’s investigation. Furthermore, in order to ensure the fairness of our internal investigation itself, we created the Independent Committee that included an outside director who was a lawyer, an outside audit and supervisory board member who had served as commissioner general of the National Police Agency, and an outside lawyer who was licensed to practice U.S. law and had no previous relationship with NGK. The Independent Committee directed the internal investigation and negotiated with U.S. authorities, and under its direction, the internal investigation team conducted a thorough examination of related documents and emails. These activities continued for more than three years. In addition to our negative natured involvement such as a scandalous investigation, internal secrecy to ensure fairness and tough instructions received from U.S. authorities on numerous occasions made this period a very difficult one. The problem could not be resolved with just our proffer to the DOJ. Remedial actions were required. Concrete measures were set up after considering measures to strengthen our compliance system. We introduced the Competition Law Compliance Program in December 2014. It included three main provisions: (1) the board of directors bears all responsibility for legal compliance, (2) the Independent Committee comprised of outside directors, etc. will verify program implementation and efficacy, and (3) the chief competition laws compliance officer shall bear all responsibility for the program’s planning and efficacy. This program initially met with a somewhat cool reception on the U.S. side. However, its contents were gradually recognized after we explained them thoroughly. Ultimately, we received comments as a model company in regard with competition law compliance. Since the agreement, we have strengthened our internal rules for competition law compliance and improved our compliance system in ways that include establishing the Business Ethics Committee and Global Compliance Office (now Group Compliance Department). On September 3, 2015 (U.S. time), NGK Insulators, LTD. (NGK) entered into a Plea Agreement with the DOJ, agreeing to pay a fine of US$65.3 million (approx. JPY7.8 billion) based on charges that it violated U.S. laws including antitrust law in connection with some transactions for ceramic substrates for catalytic converters. Since NGK's U.S. subsidiary received a subpoena from DOJ in October 2011, NGK has cooperated fully with the investigation concerning ceramic substrates for catalytic converters, including establishing the Independent Committee in 2012. NGK decided to enter into the plea agreement with DOJ after comprehensively examining the applicable laws and regulations and relevant facts concerning the matter. 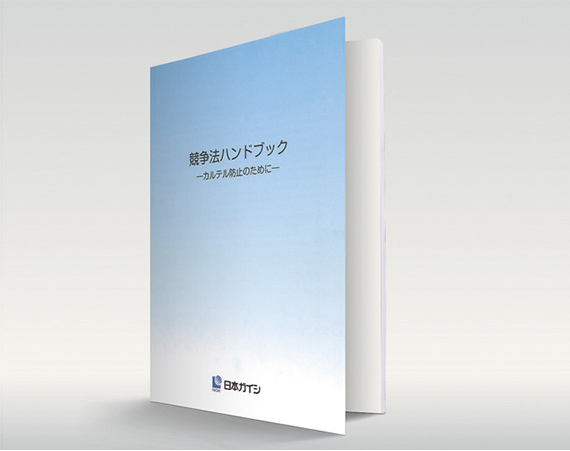 As NGK have recorded loss provisions of JPY9.3 billion related to competition laws in the financial results for the fiscal year ended March 31, 2015, NGK will record the difference of JPY1.5 billion between the loss provisions and the fine as non-operating income in the quarterly financial results ended September 30, 2015. There will be no revision to the consolidated earnings forecast for the fiscal year ending March 31, 2016. We take seriously the magnitude of the effect this matter has on the NGK Group and society, and as management, we have resolved to deeply reflect on this incident and prevent any recurrence. We have decided to voluntarily forfeit 50% of monthly compensation for three months for representative directors, 30% of monthly compensation for three months for other directors, and a similar amount of monthly compensation for executive officers. The NGK Group considers legal compliance to be an important management issue, and in the process of dealing with this matter, we have strengthened company rules concerning competition law compliance, and we have also reinforced our compliance systems. This includes the establishment of the Independent Committee on competition law compliance, which is comprised external directors, external auditors and outside lawyers as members, and the establishment of the Global Compliance Office. We will continue to make further efforts going forward to prevent recurrence and restore trust by further strengthening compliance systems and carrying out thorough education on related laws, including competition laws, for all officers and employees. We would like to express our sincerest regret for the considerable concern we have caused for all stakeholders, including our customers, suppliers and relevant stockholders. Having series of dialogues with the DOJ was a bitter experience. However, the resulting compliance system enhancement was achieved through the efforts of outside directors and outside audit and supervisory board members, including the members of the Independent Committee, the sense of mission and efforts of the legal and compliance staff that has internal investigation members as its core, and the actively forward-looking approach to company reorganization taken not only by executive management, but by mid-level managers as well. The Competition Laws Compliance Handbook is distributed to all group companies to ensure thorough group-wide compliance with competition laws. Executives, managers, and other employees in sales and technical departments whose duties are closely related to competition laws have each been given a copy of this handbook. © 2019 NGK INSULATORS, LTD.